offered via Marco at koelsch333 Ebay sales in November 2016 and sold for 420 euros! 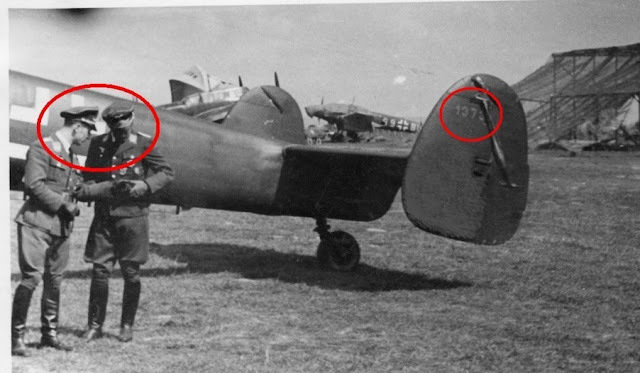 Amazing especially given that the image was previously published in Volume I of the Stipdonk/Meyer series. 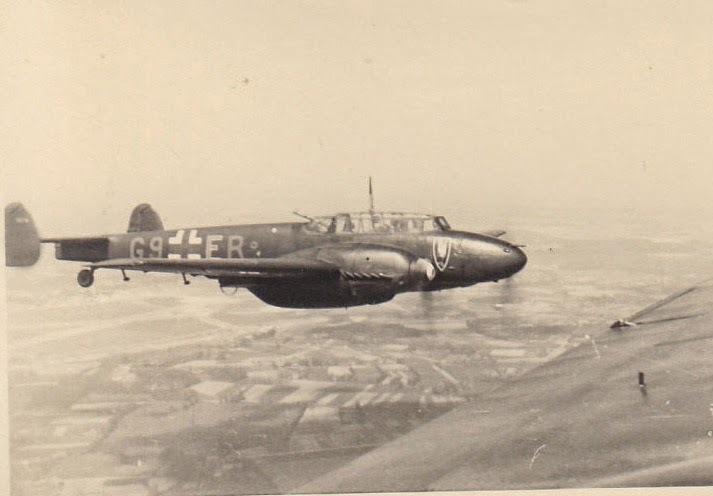 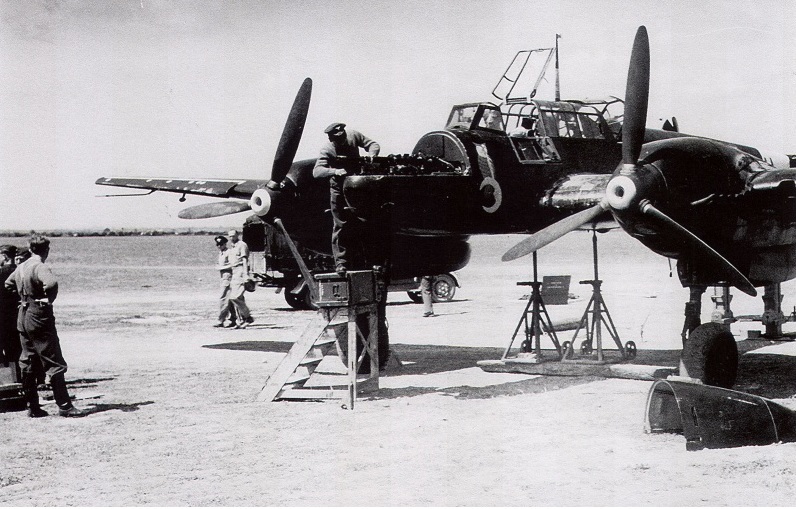 Note the machine in the middle - closer view below - an NJG 1 Bf 110 C-6 coded "G9+EH". 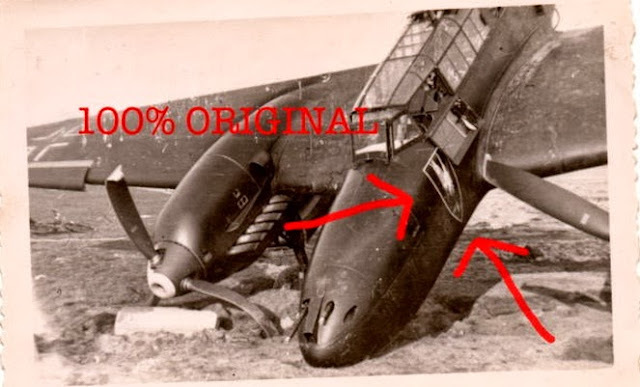 The barrel and housing of a MK 101 30 mm cannon installation can just be made out under the fuselage. 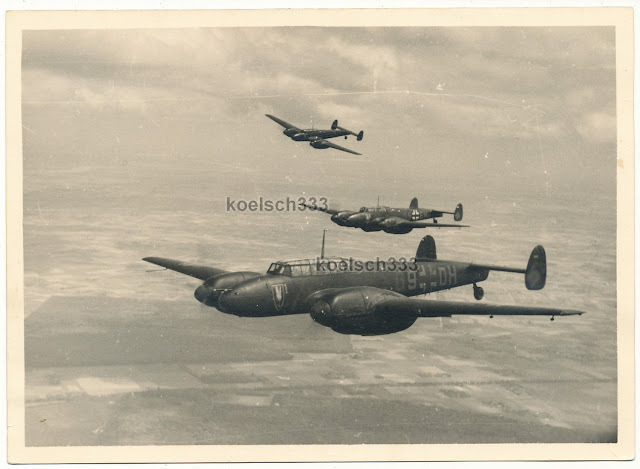 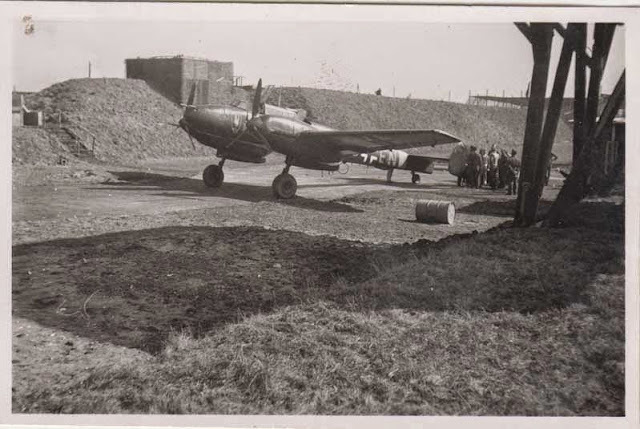 The photo was taken in early 1942 during a sortie from Venlo in the Netherlands. Three victory markings can be discerned. The Czech firm Eduard produce a limited edition kit of this rare variant with a neat resin reproduction of the cannon and belly fairing. 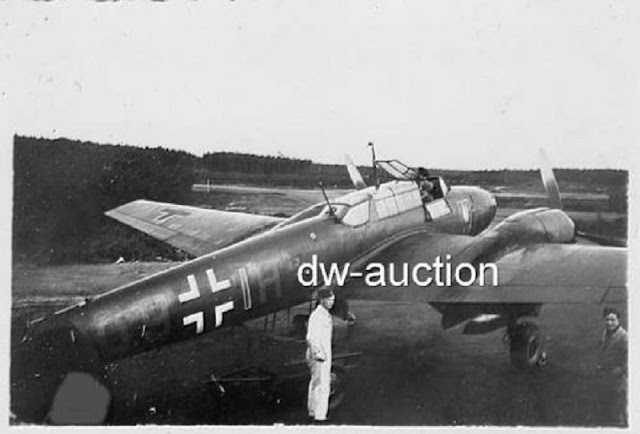 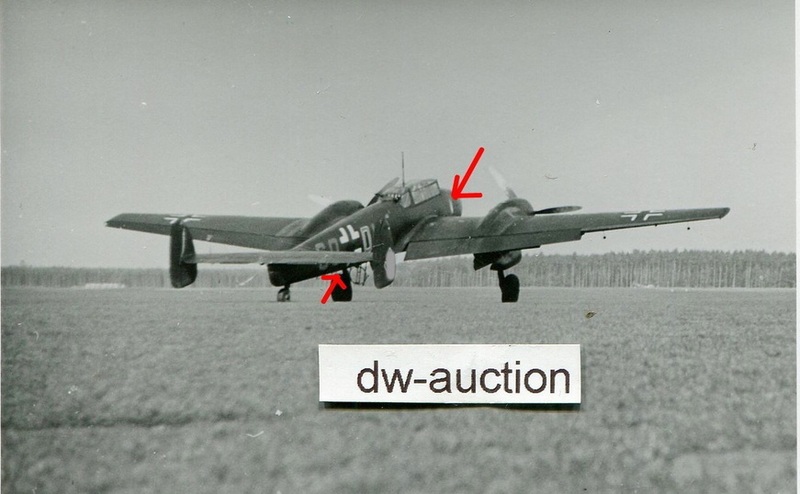 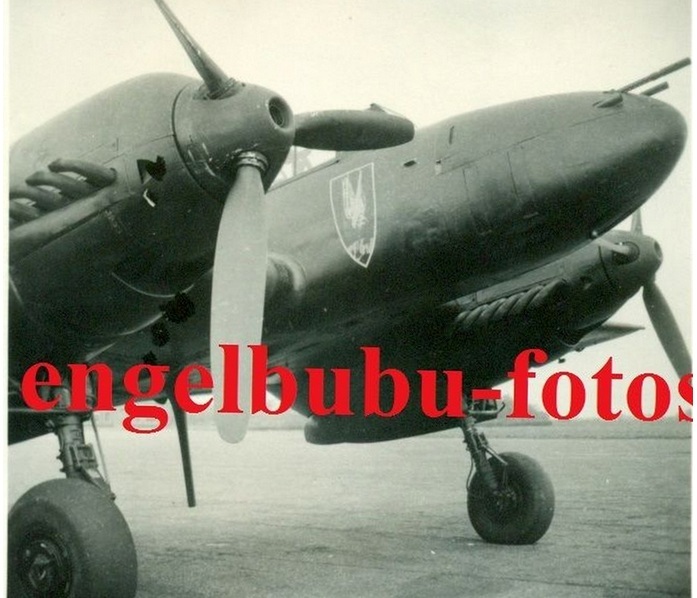 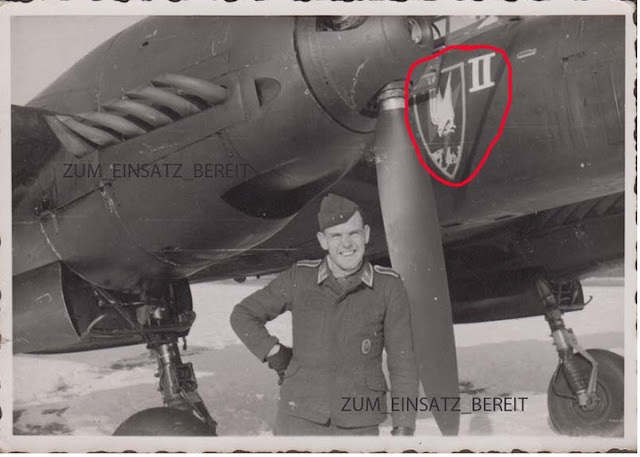 Below; a selection of images of early Bf 110 Nachtjäger in the overall black finish. A special article for modellers. 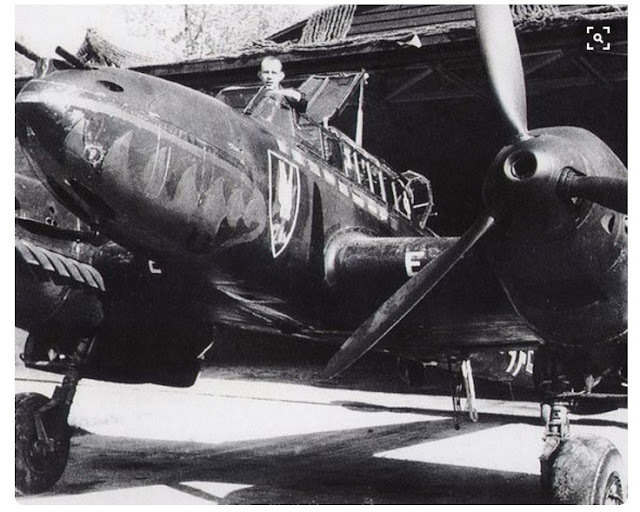 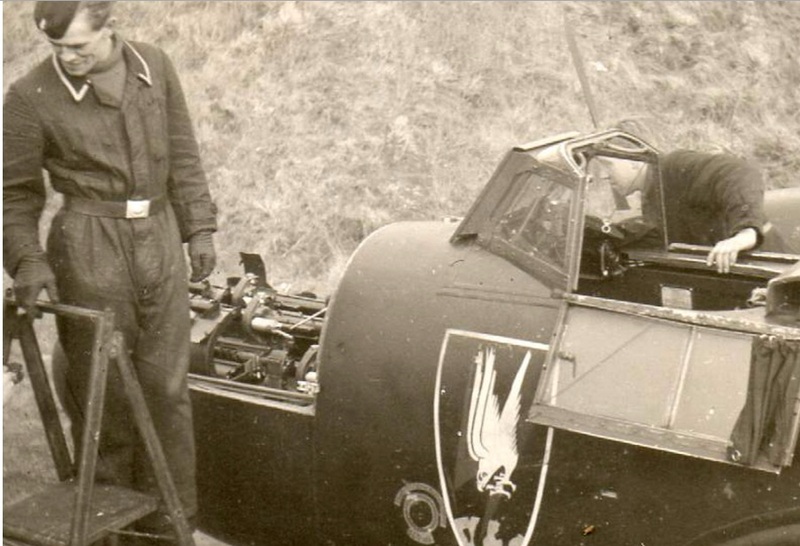 Up until around 1943 all night-fighters were painted black - 'black' was generally considered to be a 'non-reflective colour' and indeed special non-reflective pigments were used. 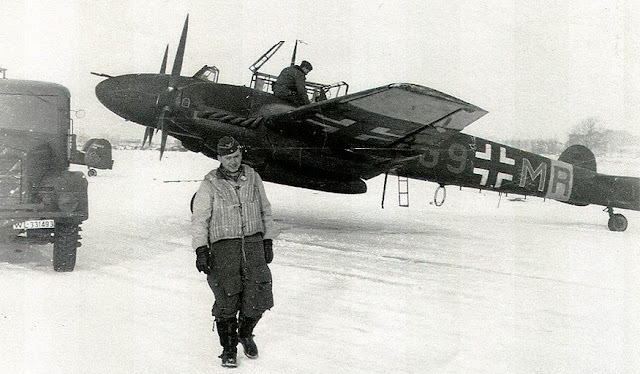 However these resulted in increased drag. 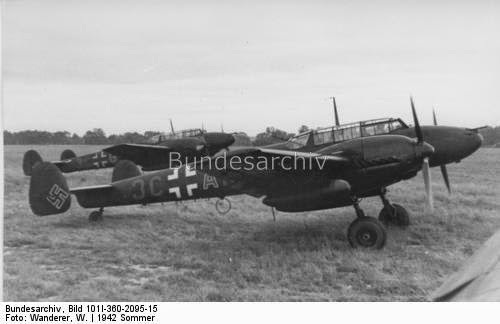 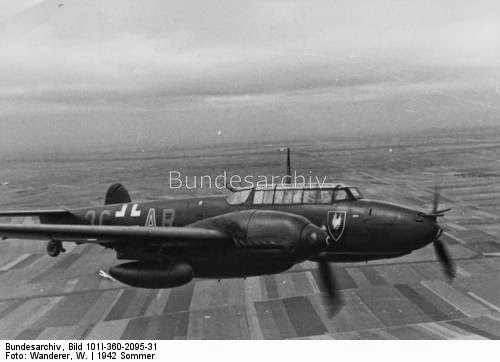 In addition 'black' aircraft were vulnerable to observation from above, especially when silhouetted against clouds illuminated from the ground - indeed this was one of the the prime factors behind the establishment of the wilde Sau being trialed at the time of the Hamburg raids of July 1943. 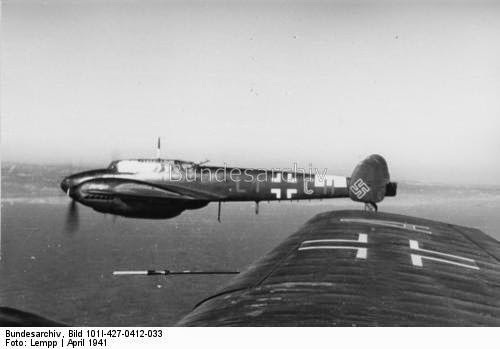 Below; Two views of Me 110 C/D "G9+DR" of 7./NJG 1 displaying the Nachtjagdwappen seen during 1940/41. 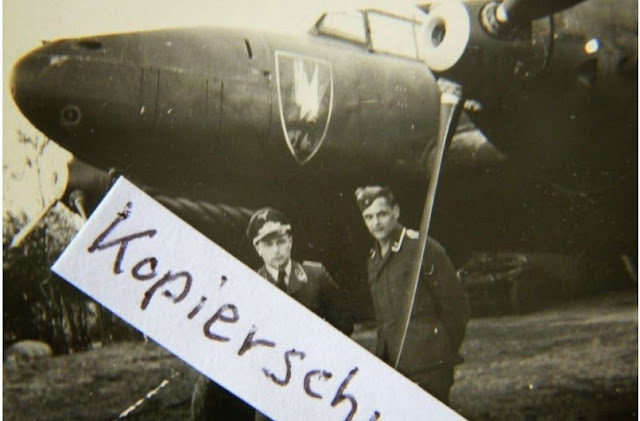 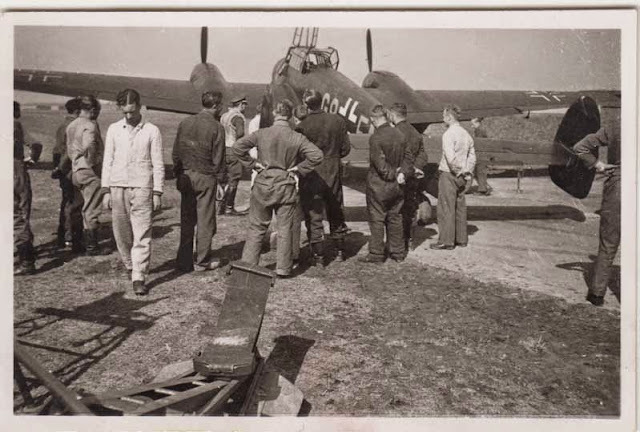 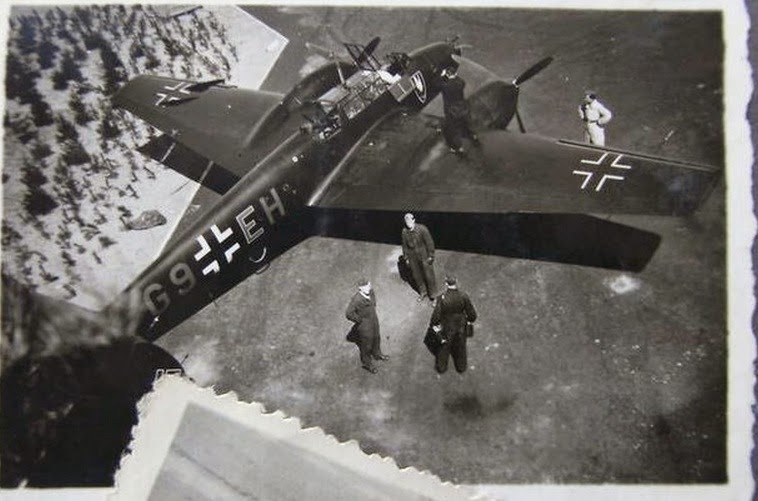 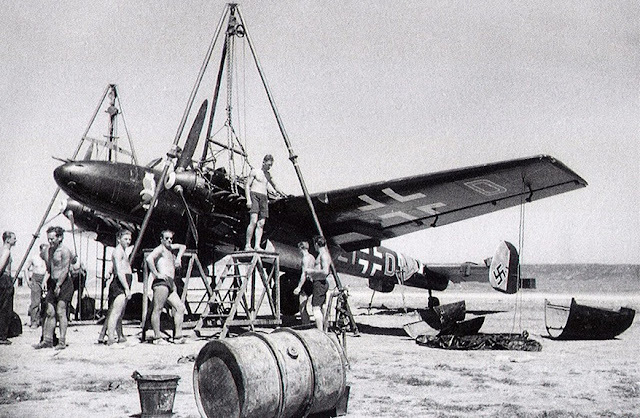 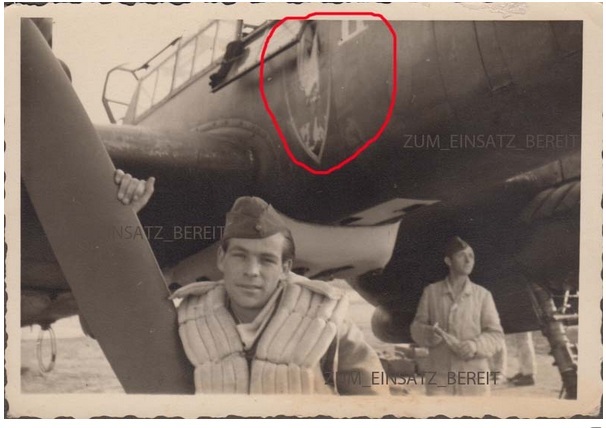 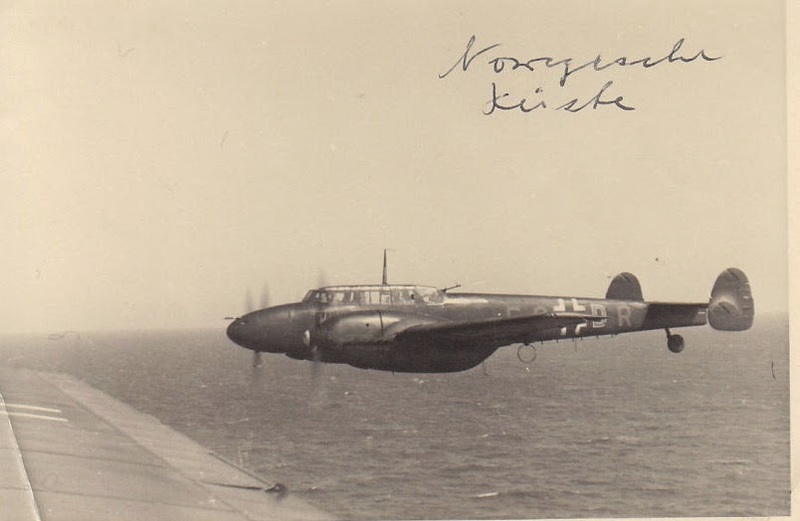 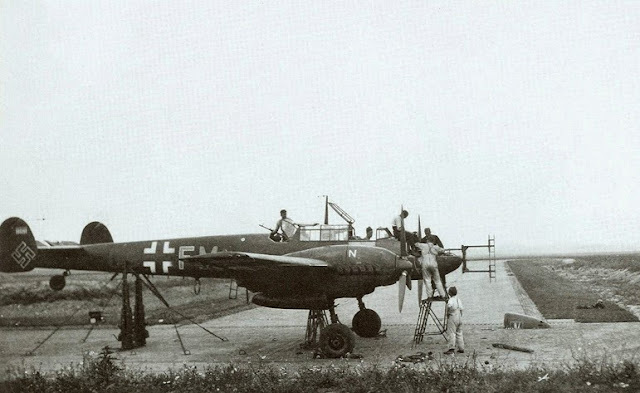 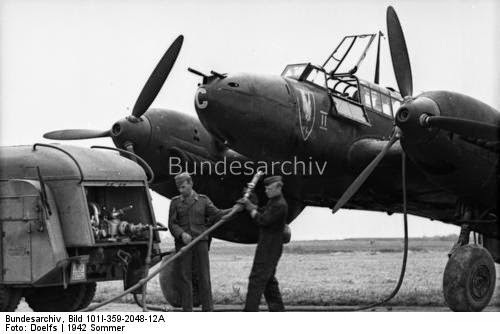 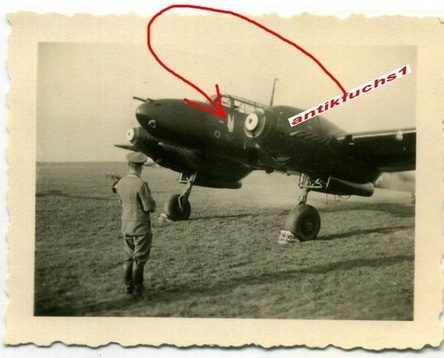 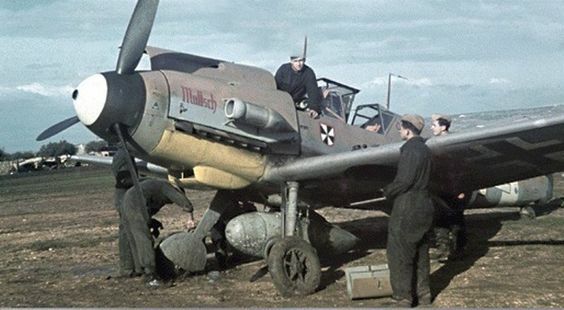 According to the inscription on the image bottom somewhere off the "coast of Norway"..
Bf 110 C-4 (L1+DH) from Nachtjagdgeschwader 3 under maintenance at Derna during the summer of 1941. 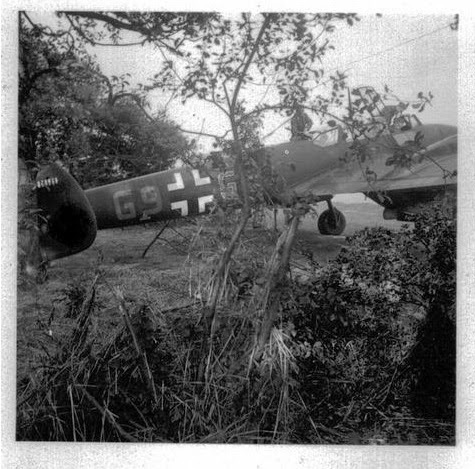 Note the port gear door, the underside of the tailplanes and most of the fin still in RLM 65, possibly spare parts from another machine..